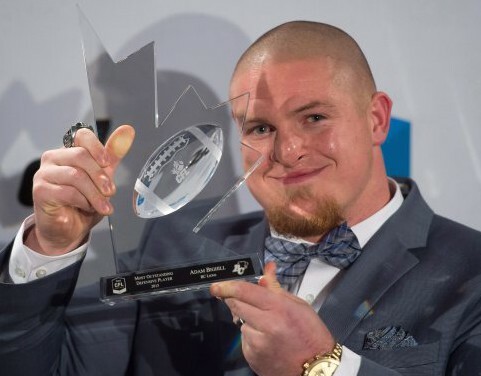 The CFL Outstanding Player Awards are handed out annually during Grey Cup week and recognize the league’s Outstanding Player, Outstanding Defensive Player, Outstanding Special Teams Player, Outstanding Lineman, Outstanding Rookie and Outstanding Canadian. One player from each division is represented in each of the six categories and winners are selected by members of the Football Reporters of Canada (FRC) along with head coaches in each CFL city. 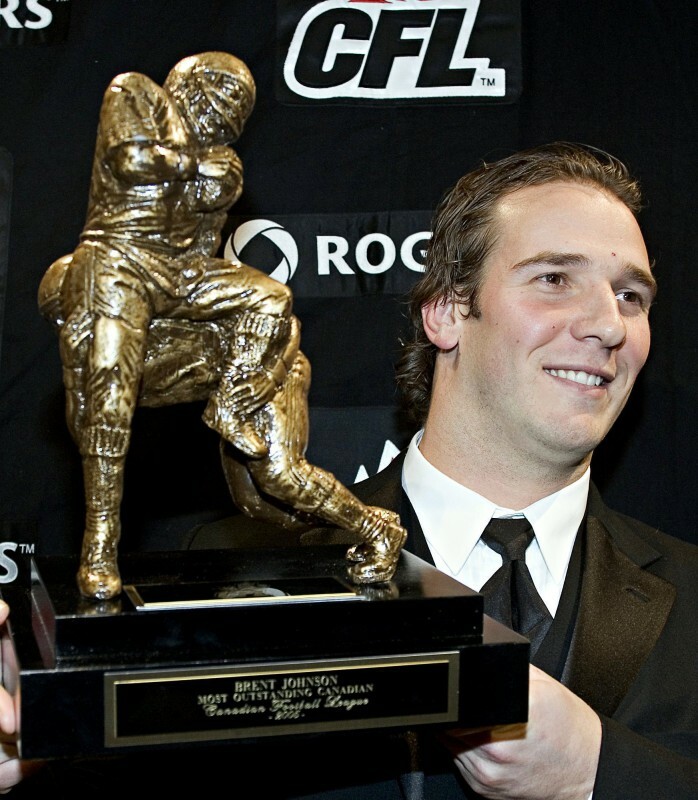 Over the years, numerous Lions have been honoured with various CFL Outstanding Player Awards including receivers Geroy Simon, Mervyn Fernandez and Jason Clermont, quarterback Doug Flutie, defensive linemen Brent Johnson and Cameron Wake, as well as offensive linemen Jovan Olafioye and Rob Murphy. Most recently, linebackers Solomon Elimimian and Adam Bighill were honoured as the CFL’s Outstanding Defensive Players in 2016, 2015 and 2014 respectively. 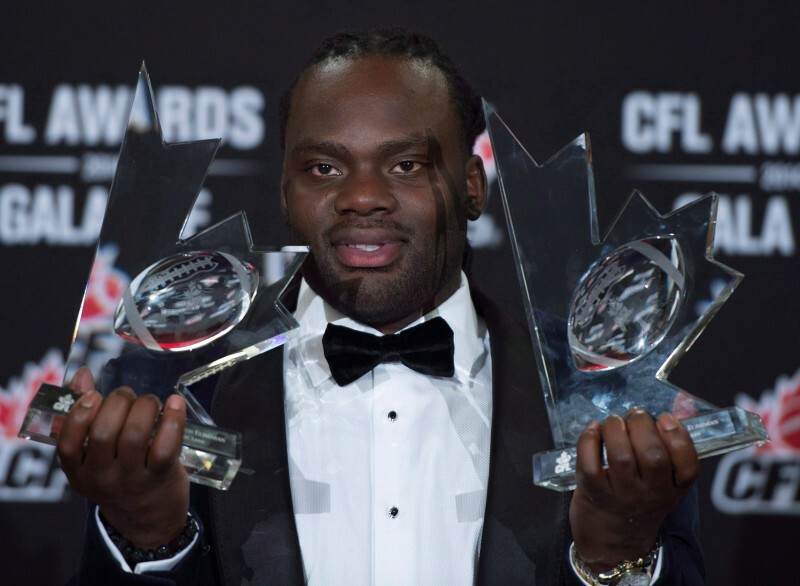 Elimimian not only became the first purely defensive player to take home both league-wide honours as Outstanding Player and Outstanding Defensive Player in 2014, but his Outstanding Rookie selection in 2010 makes him the only player in league history to collect three different outstanding player awards. He made history once again in 2016 with his second Outstanding Defensive Player selection. The West Division Outstanding Players are announced at the conclusion of the CFL regular season. 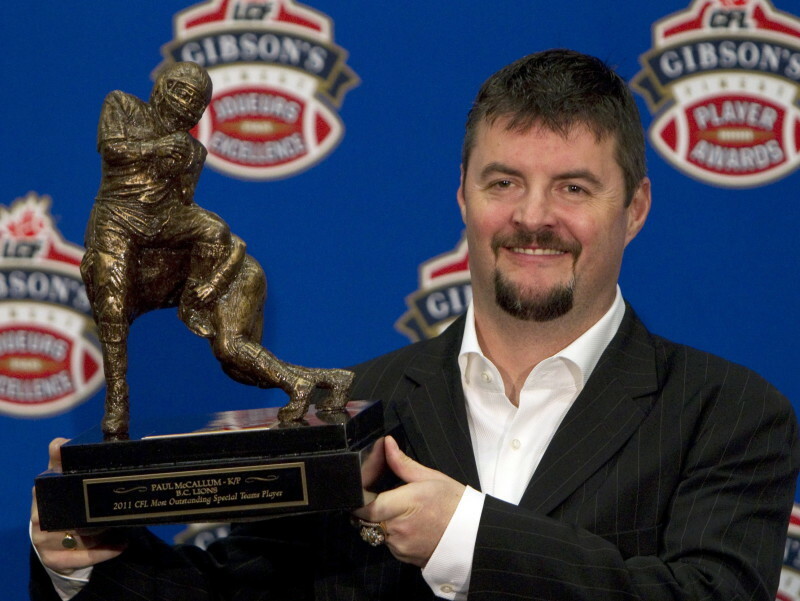 Members of the Football Reporters of Canada (FRC) in each CFL city along with each club’s head coach select players from their respective teams in each of the six categories. In the next round of voting, the same voting members then select their division’s representative in each category. Jovan Olafioye (right) is a three-time West Division selection as Outstanding Lineman including 2011, 2012 and 2015. 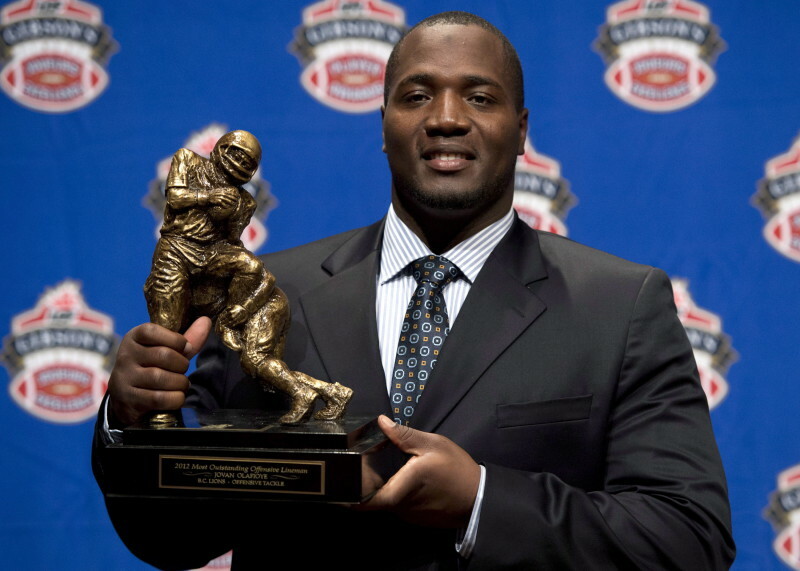 He took home the award in 2012. 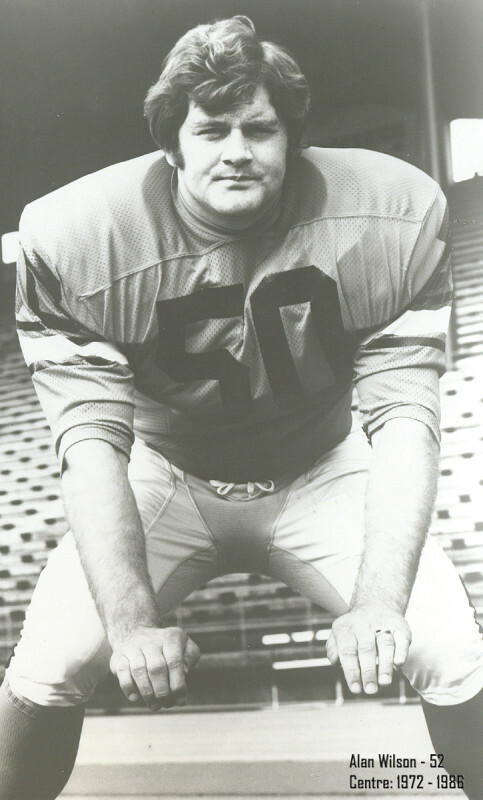 Other Lions that have earned three Outstanding Lineman awards are Al Wilson and Tom Brown, while receiver Jim Young was a three-time Outstanding Canadian. Grey Cup Most Valuable Player Awards are handed out immediately following the game and recognize the game’s Most Valuable Player and Most Valuable Canadian. 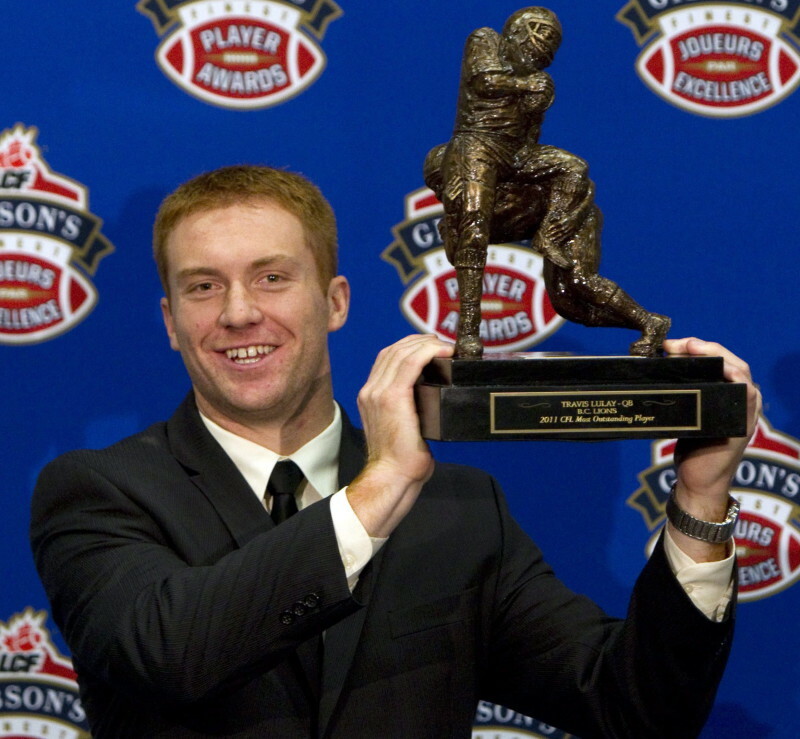 Following the club’s victory in the 2011 Grey Cup, Lions quarterback Travis Lulay was selected as the game’s Most Valuable Player while running back Andrew Harris was chosen as Most valuable Canadian. 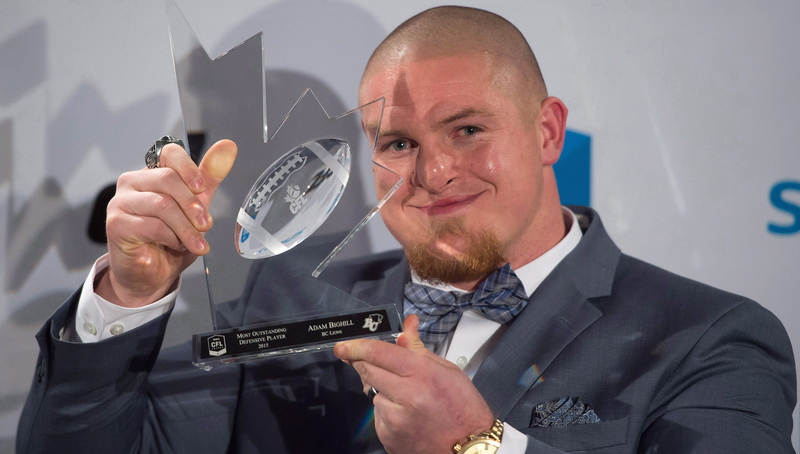 CFL and Divisional All-Star honours are awarded following the conclusion of the regular season. In recent years, the Lions have had a significant number of players named to both the West Division and CFL All-Star teams including a team record of nine CFL All-Stars in 2007 and an incredible 15 West Division selections. Divisional All-Stars are selected by members of the Football Reporters of Canada (FRC) along with head coaches in each CFL city. Once the ballots are counted and both East and West Division All-Stars are announced, another vote is staged to select CFL All-Stars from the divisional selections. Among the many legendary Lions to have taken the field, Al Wilson (right) leads the Lions with seven CFL All-Star selections while Lui Passaglia was a West Division All-Star on nine occasions.